In June 2011, Peter Beinart a former editor of the staunchly pro-Israel New Republic, published a controversial essay in the left wing New York Review of Books, headlined “The failure of the American Jewish Establishment”. The article was a scathing condemnation of Israeli policies which he alleged were undermining democracy and violating human rights. He accused American Jewish leaders of slavishly toeing “extreme right wing Israeli positions” and “refusing to defend democracy in the Jewish state”. Beinart’s essay transformed him overnight into a darling of the left-liberal establishment and media which abhor the Netanyahu government. He was feted as a courageous Jewish writer willing to stand up and castigate both Israeli and American Jewish leaders. Presumably overwhelmed by the adoration showered upon him, Beinart has now expanded his essay into a full length book based on the standard stereotypes and fallacies shared by most hostile far left and ‘liberal’ critics of Israel. Titled, “The Crisis of Zionism”, it is scheduled for release next month. Beinart is convinced that Israel’s treatment of the Palestinians is the “great Jewish question of the age” and his central call is for American Jews to join the choir condemning Israel. He informs us that he loves Israel and would teach his children to love it. Yet in the same breath he unequivocally condemns the Jewish “apartheid” state for breaching human rights, depriving Palestinians of dignity, and describes Israel’s settlement policy as a futile effort to retain occupation in a post-colonial age. He accuses the Israeli government of denying human rights to Palestinians “simply because they are not Jews”, comparing their treatment to that of African Americans before segregation was banned. 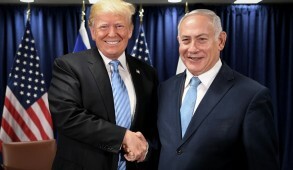 Netanyahu is portrayed as the devil incarnate, who opposes peace, regards liberalism as the special curse of the Jewish people, inherited from his father a view of Arabs as “semi barbaric” and exploits Jewish victimization and the Holocaust as cynical propaganda tools. In an effort to depict him as a right wing extremist directing Israel towards fascism, Beinart shamelessly quotes outdated views of the Prime Minister even when they represent the antithesis of the current policies he is implementing. The Jewish State is far from perfect and we are entitled to have differing views on specific areas of Israeli policy. But to insist that the settlement issue, which relates to only a minute proportion of the disputed territories, is the core of the Arab Israeli conflict is simply parroting primitive Arab propaganda. 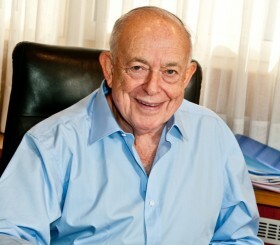 Besides, Beinart fails to point out that both Prime Minister Barak and Prime Minister Olmert offered in excess of 95% of the disputed territories to the Palestinians, with both Arafat and Abbas rejecting the offer without even making a counter proposal. And when Sharon unilaterally withdrew from Gaza these territories were used to launch missiles to terrorize Israeli civilians. The most demagogic aspect of Beinart’s distorted approach of Israel is his repeated accusations of Israel as a country consistently abusing human rights and undermining democracy. 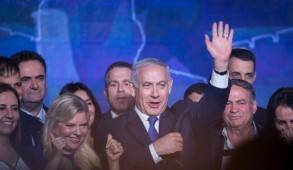 Yet, despite existential threats from the day of its birth and harboring a substantial minority of Arabs whose radical extremists, including Knesset members, ally themselves with terrorists and our genocidal enemies, the Jewish State remains one of the most vibrant democracies in the world — an especially stark contrast to the tyrannical Islamic states surrounding it. Israel provides universal suffrage, social services without discrimination to all its citizens, a free press and extends freedom of expression beyond what many other stable democracies tolerate. To describe such a nation as verging on fascism is preposterous. We are entitled to become enraged when bleeding heart liberals like Beinart, basking in their New York or London salons, depict us in such a despicably distorted manner. Beinart regards Barack Obama as “America’s first Jewish president… a man steeped in liberalism absorbed from Jewish friends in Chicago”. 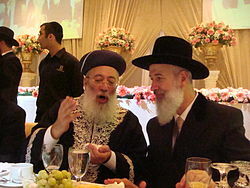 He relates to the influence on Obama by the late Rabbi Arnold Jacob Wolf who, in 1973 became founder and chair of Breira, a far left forerunner of JStreet, which was dissolved in 1977. 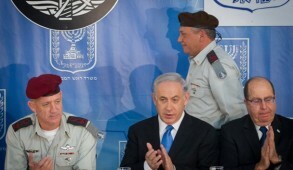 Perhaps, to some extent, that identifies the source for the President’s loathing of the Israeli government. The bulk of Beinart’s book concentrates on denouncing American Jewish leaders for collaborating with the ‘immoral’ Israeli enterprise by refusing to condemn abuses. 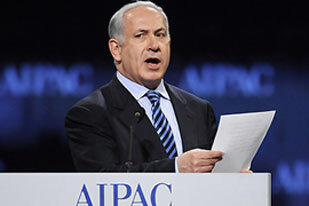 He asserts that it is impossible to remain a liberal whilst supporting the policies of right-wing Israeli governments. ADL head Abe Foxman is castigated for allegedly stating “Israeli democracy should decide, American Jews should support”. Beinart expresses contempt of AIPAC, exemplifying its bias by its “unfair” and “obsessive” attitudes towards Human Rights Watch, an organization publicly repudiated by its founder, due to its frenetically biased hostility towards Israel. The greatest flaw in Beinart’s thesis is the constant repetition of the lie that “the mass of American Jews are to the left of organizations that speak in their name and almost always oppose US pressure on Israeli leaders and blame the Palestinians almost exclusively for the lack of Middle East Peace”. 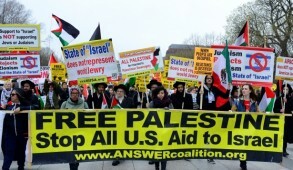 The reality is that American Jews may be liberal and traditionally inclined to vote for the Democratic Party, but at the grass roots level, in recent months they displayed far greater agitation than their leaders against President Obama’s biased diplomacy against Israel. But despite this, even discounting the Orthodox, opinion polls taken in recent years demonstrate that far from being alienated from Israel, American Jews are instinctively more hawkish than Israelis. One need only examine the annual American Jewish Committee opinion polls and the important recent Mitchell survey undertaken by the American-Israeli Cooperative Enterprise and The Israel Project. They reveal that 89% of American Jewish youngsters strongly support Israel, endorse decisions adopted by the democratically elected government of Israel and oppose the public criticism of Israel which Beinart advocates. In fact, the vast majority consider Israel to be the spiritual center of the Jewish people and regard Israel as a crucial component of their Jewish identity. The reality is that ‘liberals’ who feel alienated from Israel are running against the grain of grassroots American Jews. They may get more media attention, but they represent a small albeit highly vocal minority. This is exemplified by the marginal impact of the primarily Soros-funded J Street. Beinart ‘modestly’ proclaims that he is upholding “the honor of the Jewish people in our time”. His book is hailed by former Meretz leader and current chair of the New Israel Fund as “the outstanding Zionist statement of the 21st century” and received fulsome praise before its release by anti-Israeli New York Times columnist Roger Cohen and the newly appointed Jerusalem correspondent of the Times, Jodi Rudoren, who described it as “terrific”. 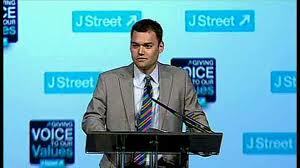 Not surprisingly, J Street embraces Beinart and will be launching his book at their forthcoming national conference. Reality on the ground and the flawed premises upon which Beinart bases his thesis will not detract from the praise he will receive from the left liberal media whose hostility against Israel has regrettably become endemic. His book, like that of Walt and Mearsheimer, the maligners of the Israeli lobby, will be another addition to the growing number of volumes demonizing the Jewish state. Fortunately, despite the misguided efforts of some Jewish leaders to invite into the “big tent” those canvassing foreign governments to pressure the Jewish state, the impact of people like Beinart on the Jewish community as a whole has been marginal.